The idea may have started with Democratic Senator Jeane Shaheen, but support for a hearing with Trump’s interpreter from his private meeting with Putin is growing, now including multiple Republican legislators. 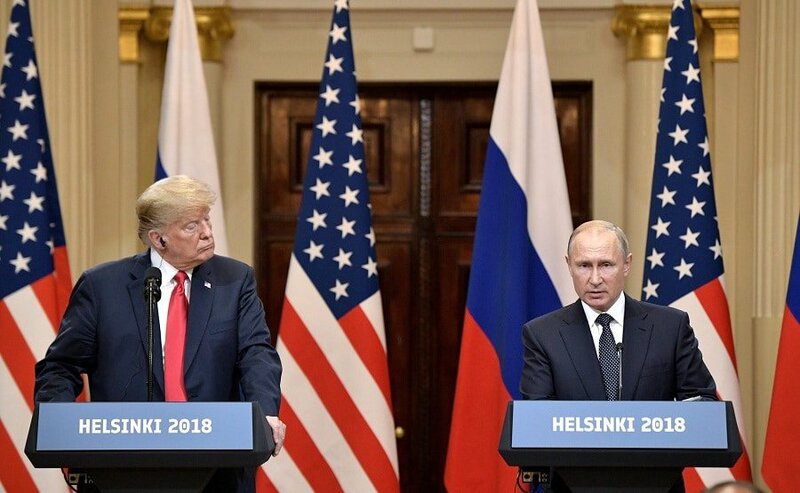 While Trump’s words in the public press conference left America reeling, we can only speculate on what was discussed or promised in the meeting between Trump and Putin. Only one American citizen joined Trump and Putin in the room, and many see her as the only hope for the U.S. ever learning what took place behind closed doors. The push for an interview with interpreter Marina Gross began with Senator Shaheen, who, on Tuesday, called for a hearing. However, the demand has now grown, with several Democratic senators and at least two Republicans supporting the idea. According to CNN, Arizona Senator Jeff Flake(R) has said he would support sharing the interpreter’s notes from the meeting in a classified session, available to those congressional committees whose decisions could be affected by the information. Bob Corker (R, Tenn.) has gone further, saying he’s actively looking into precedent and determining whether either a hearing or a review of the translator’s notes would be permissible. Corker has spoken openly about his disappointment over Trump’s involvement with Vladimir Putin, and about this meeting in particular. According to Business Insider, Marina Gross has served as an interpreter for U.S officials since at least 2008 and can be seen in photos working alongside First Lady Laura Bush. So far, the only hints that the American people have about what might have been discussed between Trump and Putin are an announcement from Russia suggesting that the two came to an agreement on matters of national security, and one tweet from Trump about North Korea. …practical implementation of the agreements in the sphere of international security. Barring a recording or a sworn statement from an interpreter, there is nothing to confirm or refute any claim either leader may make about what was said in the private meeting between Donald Trump and Vladimir Putin.